submit the pending interior sketches. 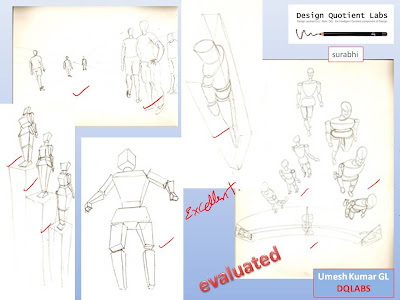 i have sent you some assignments on human figure drawing. submit them. check your mail for next assignment. answer mock test 3 and submit. 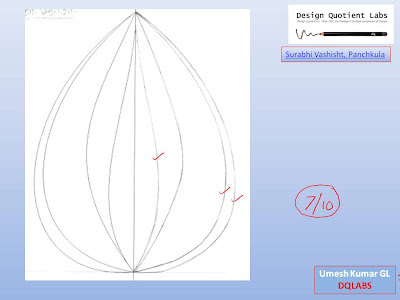 follow the instructions and answer mock test 2 sketch questions. answer mocktest 1 sketch questions and submit. for coloring use water colors or color pencils and create gradation effect. 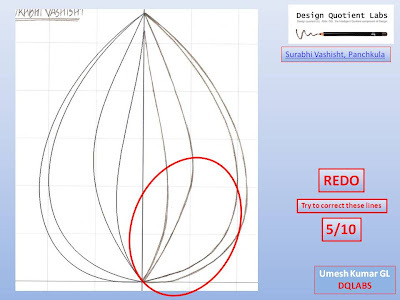 create an interesting sculpture for an architecctural firm using basic geometric forms. Task 1 - create a 3d composition using a coffee mug, 2 big books and a computer mouse. Task 2 - create a 3d sculpture for an architecture college using sphere, pyramid , cone and cube. repeat them as many times as required. Task 3 - design a logo for an architectural firm using at least 3 basic geometric shapes and color it in 3 hues. replicate one more and submit. try to get the shade and shadow effects as close as possible. i have sent you some 2d and 3d assignments please do it and send it back. repeat the exercice with 3 circles, 4 squares and 5 triangles. create an eye catching compositions. use complimentary colors to color trhe drawing. submit your assignment by 8th April 2009 evening 5 pm. you have to work on coloring, 2d composition and , shades and shadow creation and perspective. lets start with 2d composition and coloring. read chapter 2.01, 2.02, 2.03 and crate an interesting composition using 6 cubes without any over laps. 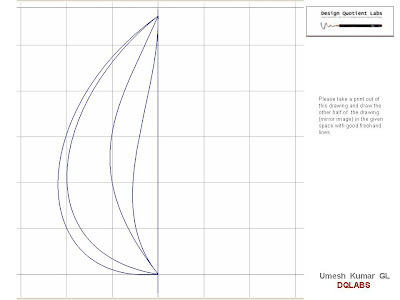 you can scale or rotate the shape. use 3 colors . create 3 different combinations( both coloring and shape arrangement). use new set of sketch pens to color the drawing. submit them by 27th evening 5 pm. as per your request, lets start the theme sketching. i have sent you a .doc on one point perspective. read it and also the onepoint perspective chapter from your book. 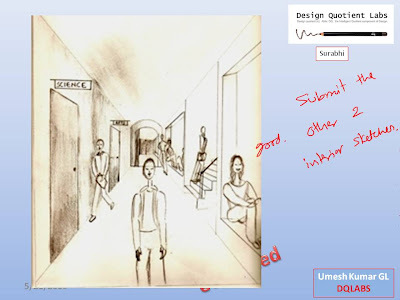 draw the images attached in the doc and submit the same by 3rd jan 2009.
submit the best of your daily freehand exercises for review. redo the assignment correcting the mistakes and resubmit it by tommorow. we are not going to go forward till your line quality is improved. this happens only by practice. draw the drawing till you get the best lines and submit the same by tommorow. please give one last attempt and make sure you draw the best freehand lines. submit the drawing by 29th nov.
you need to be more punctual in submitting the assignments. do take out time on a regular basis and practice the assignments. you need to focus more on the line quality. i will send you a series of asssignemnts. do them religiously. please redo and submit the below drawing by 26th nov. Your freehand seems to be good however will check it in next couple of assignments. Please read through the freehand drawing chapter from the our books and attempt the assignments given in it. "Donot color the image "
You havnt received books yet? ?...surprising.Please write a mail to student@dqlabs.in immediately about the same. you should be getting books in a weeks time. meanwhile i will upload a new assignment for you. please try submit it before 16th. sir..........wats d next assignment dat m supposed to do??????? please see your blog. an assignment is waiting for you since one month. but sir i did this 1 n mailed to u long back ...............ve'nt u recieved it???????? if not please send it to that address. sir........m i supposed to do the next two assignments as done by ms.akriti also??? well for now concentrate on the assignment you are asked to redo. once you have done this correct i will give you the other assignments. use a HB pencil. for the final lines use a black sketch pen. let me know if this answers you question. 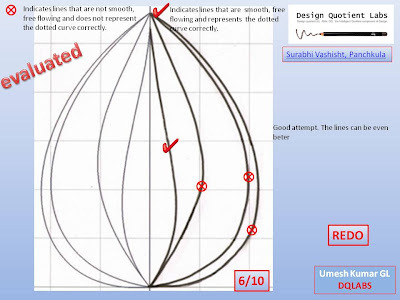 are you practicing the daily freehand assignments regulary? i suggest you that for drawng eh presentetion lines for now, use a B pencil. dont use sketchpen for some time. become comfortable with pencil first. sir i did d assignment again n sent it to u.............ve u recieved it????????? nice to hear back from you. welcome back to the course. i can understand your problem and nothing to worry. lets try to cover up as much as we can before your exam. let me know when are you taking your exam. I will guide you accordingly. getting such a positive response 4m u was of great help and encouraging. i will be having my aieee-aptitude test on 26th april and ll b givin nata in the end of may...maybe around the 25th. so far you are doing ok.keep doing the assignments , you will get necessary feedback whenever required. ok. will start from tommoorw onwards then. try to spend maximum time on sketching and do as many assignments as possible before sunady. the assignments i submitted yesterday,haven't they been evaluated as yet??????? you will get them by monday morning. for the 2d composition with 360..
i have sent you some assignments on perspectve drawings..for theme sketching. draw and submit asap. then shud t just be pencil shading with a graphite pencil in theme sketch n 3-d compositions?? have u recieved the mock test-3 assignments? ba didn't receive any such assignments..
ve received it now........thank you..
when will i get my next assignments?